Welcome to the Museum of Fine Arts, or MFA for short! 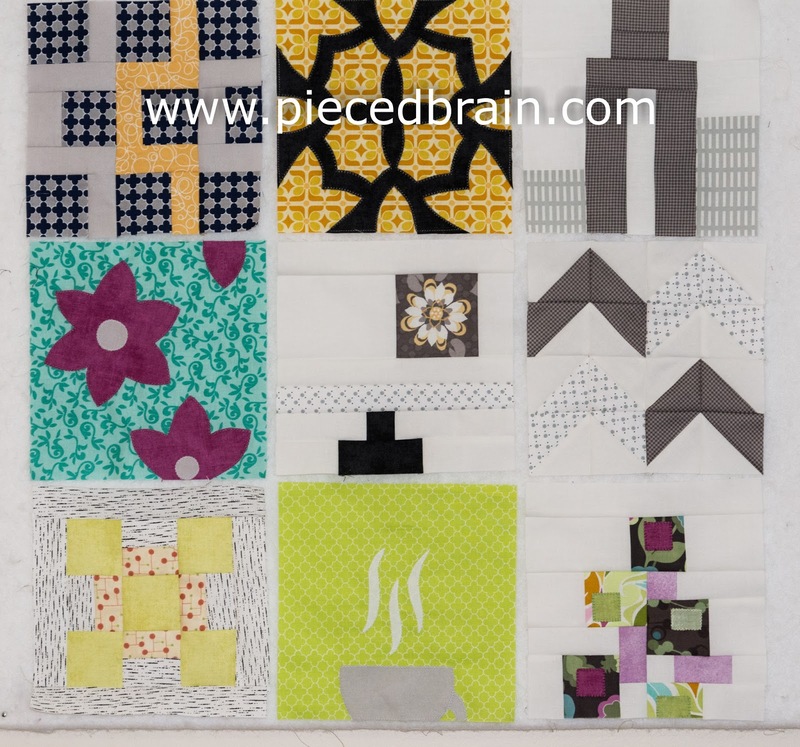 Block #9 of the City Girl Sew Along is my version of an installation you might find at the museum (can you tell I am really enjoying designing these blocks? :-) ). 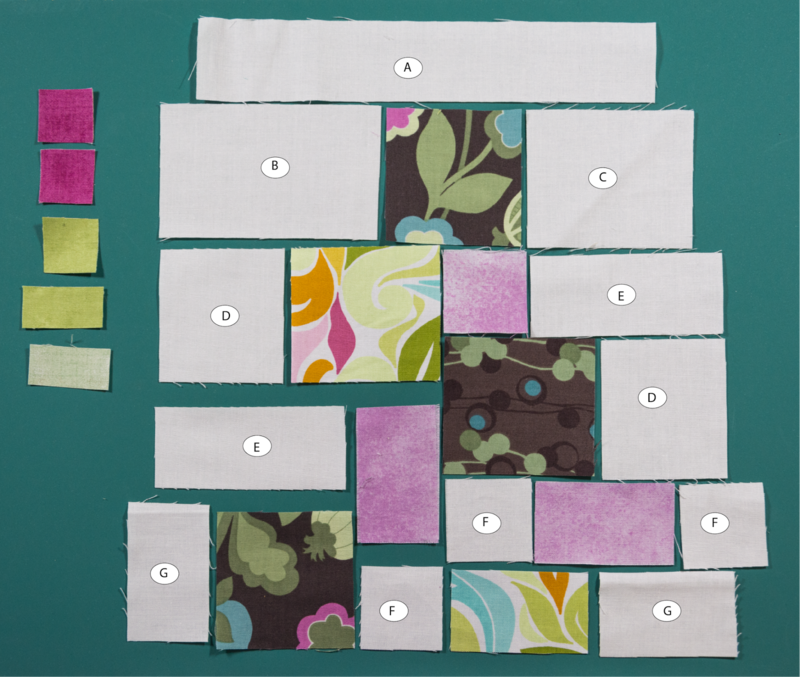 Choosing the fabrics was sort of an adventure! I pretended I was painting the boxes that were going to be stacked against the white wall. 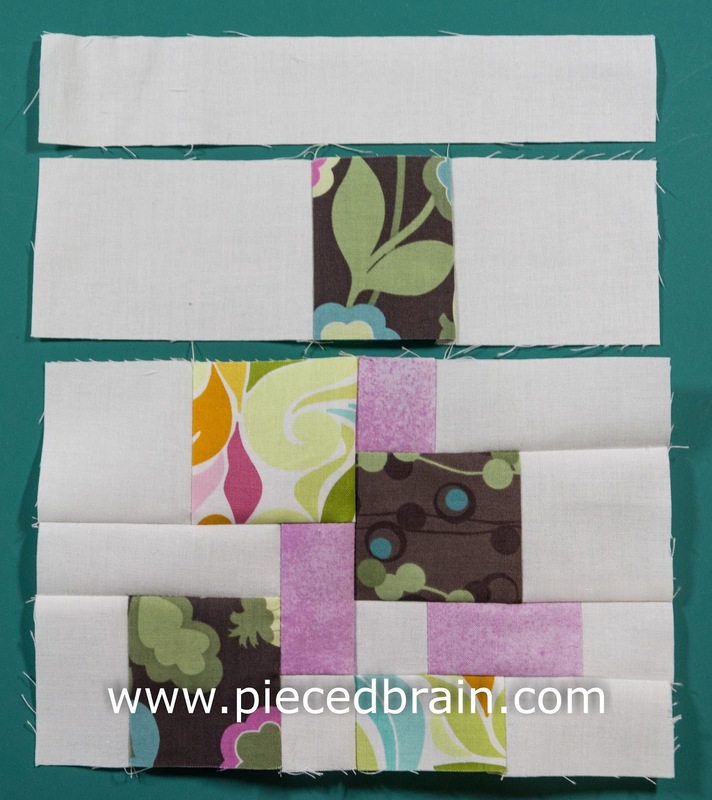 As you can see, Block #9 involves piecing and a little bit of machine applique. Don't be alarmed by the list below - the instructions are simplified by the photographs (scroll down to the photographs and you will understand), so it will be easy! 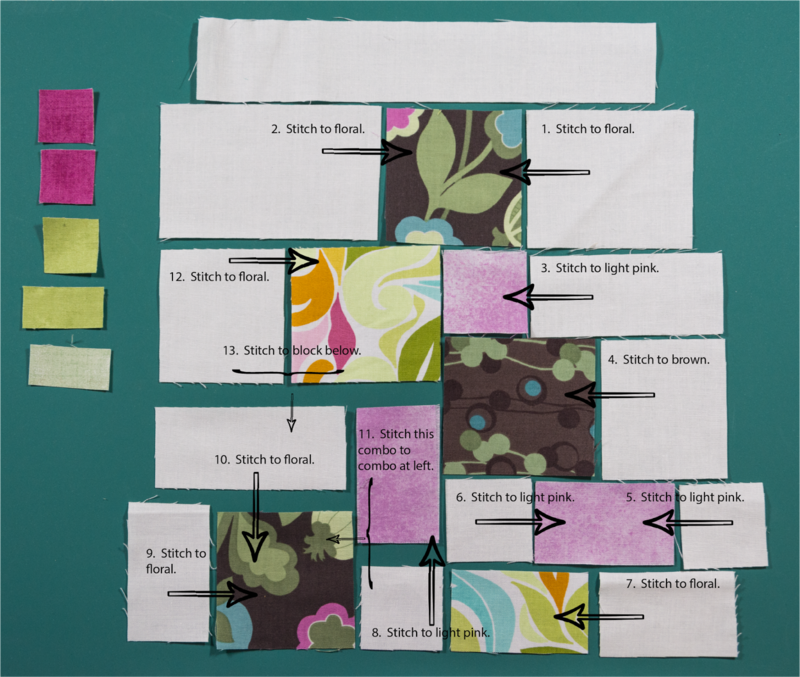 You should have 25 pieces of fabric in total, including the ones on the upper left corner of the photo above. 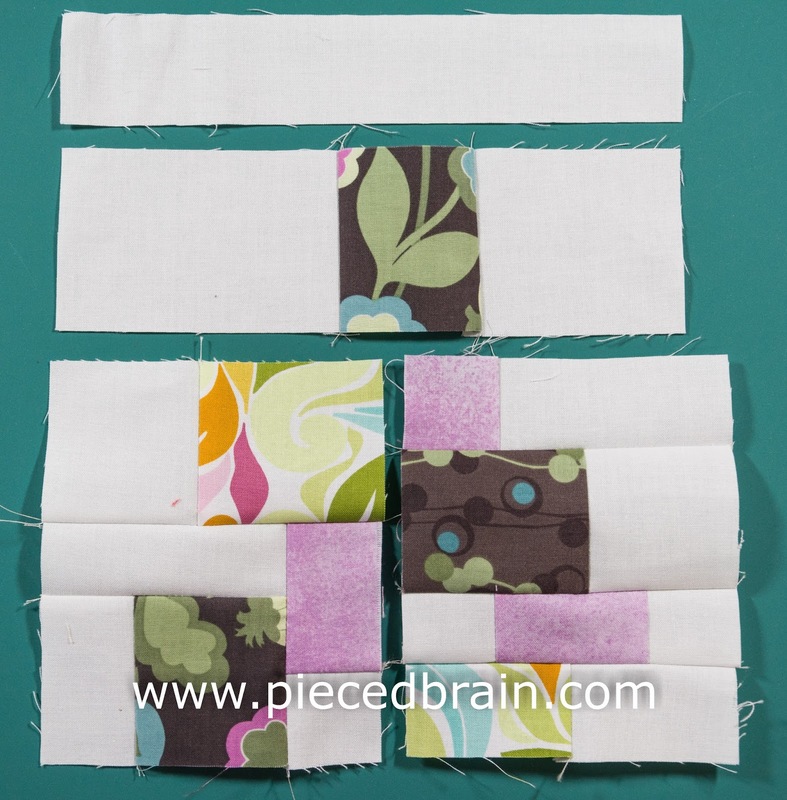 Arrange pieces close to your sewing machine as shown. The letters on each white background piece should help you with placement, as they correspond to the ones I mentioned in the cutting instructions. 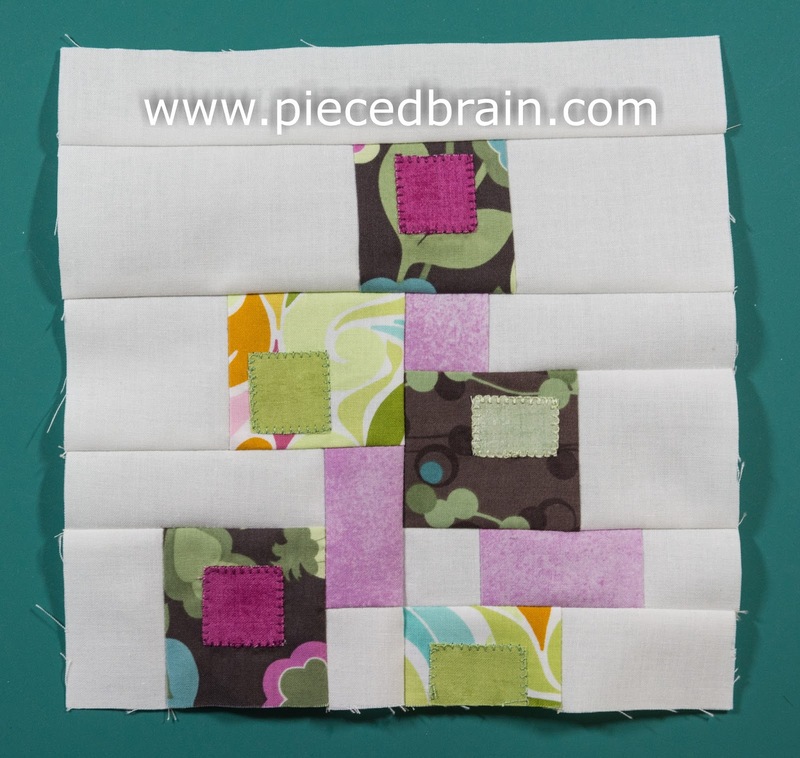 On my next post I will show you a very cool detail of the mini paper pieced quilt I made for my son Chris (read post here). I think you will like it. Until then, enjoy the weekend!